Major storms and flooding across SE Louisiana past couple of days. Captured this unusual photo at twilight tonight during a break in the weather. 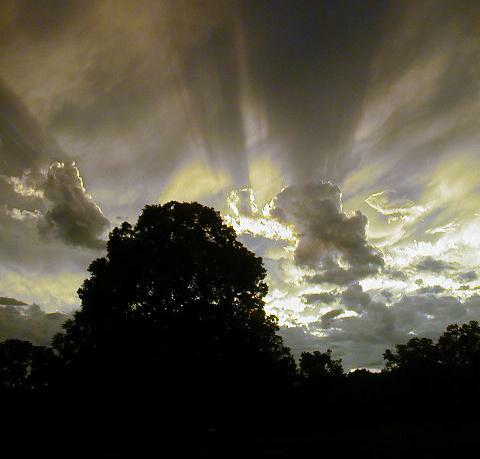 Photo shows two significant shadows cast across the sky from the direction of the setting Sun. The shadow to the right is comparatively larger then the shadow cast to the immediate left of this image. Photo seems to imply the probability of two light sources just after Sunset. 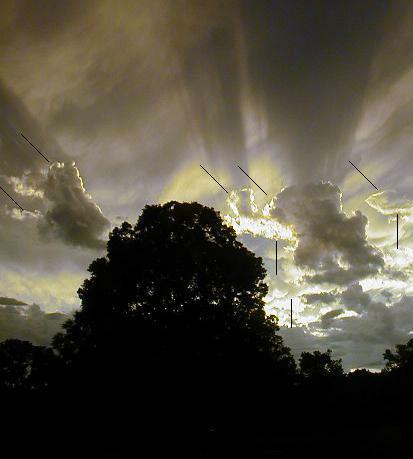 Indeed, the setting Sun casts a light on the underside of the clouds, but there is a second light source coming from the left, the position of the Second Sun at sunset from the Northern Hemisphere.